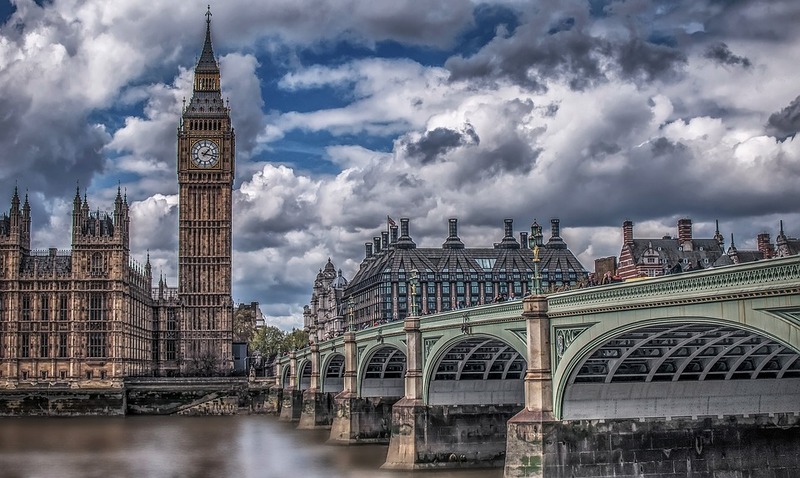 There is a new DXN UK Office in England. But before I let you know all the information let me clarify this. If you want to buy DXN products cheaper, at distributor price, you need to make a free registration*. * It is free to register as a member in DXN. You can buy the products without paying any registration fee. Only if you want to do further business like registering new members under you (downlines) and enjoying your bonus, then you have to purchase a starter kit. First, you need to choose a sponsor, who will guide you through the registration and the ordering process. And he/she will answer all your questions about DXN products and/or the business opportunity too. After you fill out the registration form, you can place an order in the UK from the eWorld. *The warehousing, packaging, logistics, and delivery of products is managed by local DXN offices or the European central DXN office, this is not your task and you do not have to do anything with this, but the commission fee after each delivery is credited to your account – after your consumption, and after the commerce of your team (those joining to you and to your team members). They send your parcel on the next working day after the payment. Delivery with Royal Mail 2nd class 2-3 days delivery service. Delivery time 2-3 working days from sending. This change is applicable from July 1st, 2018. Are you already a DXN member, but not in our team? DXN focus more on England and the UK, so there will be meetings soon. 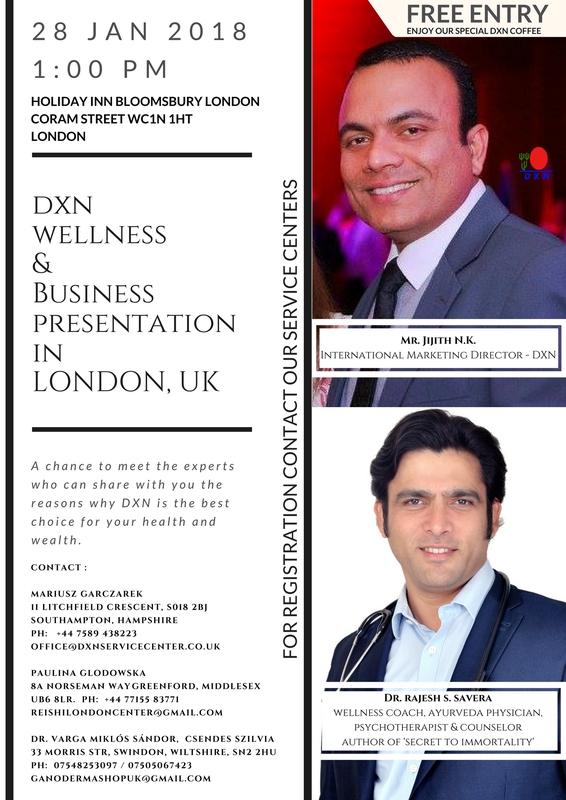 DXN wellness and business presentation will be in London, UK 28 January 2018 1:00 PM. There is a huge opportunity for you with DXN in the UK too. We would be happy to guide you along this road to success. Good morning DXN UK waving from Dxn Dubai. Two of my partners up there. Looking for our DXN GANOZHI LIPSTICK AND OUR DXN COCONUT OIL… UNFORTUNATELY THE PRODUCT’S MENTION IS NOT YET AVAILABLE… DO YOU HAVE ANY IDEA WHEN WE COULD HAVE IT… THANK YOU. Good Morning! Yes, these products are available in Dubai, but not in Europe. Maybe when you visit each other – somebody could buy and give them. The product licensing depends on the European laws and the DXN offices. We hope more and more DXN products will be available in Europe too.